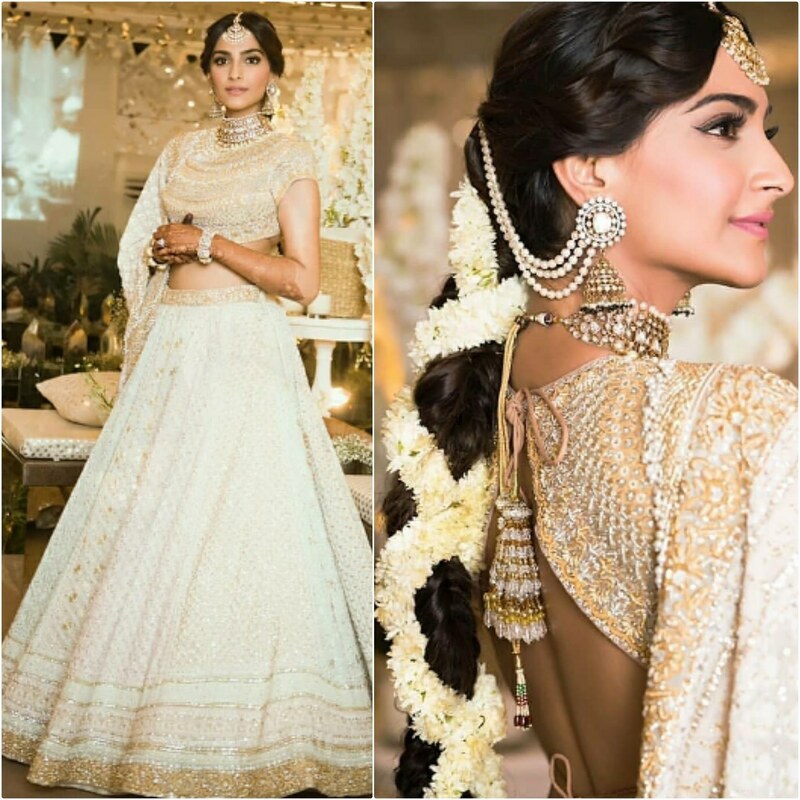 It was a chikankari Abu Jani Sandeep Khosla lehenga for Sonam at her Sangeet ceremony. Middle parted braided hair with gajra and kundan jewellery rounded out the look for her. 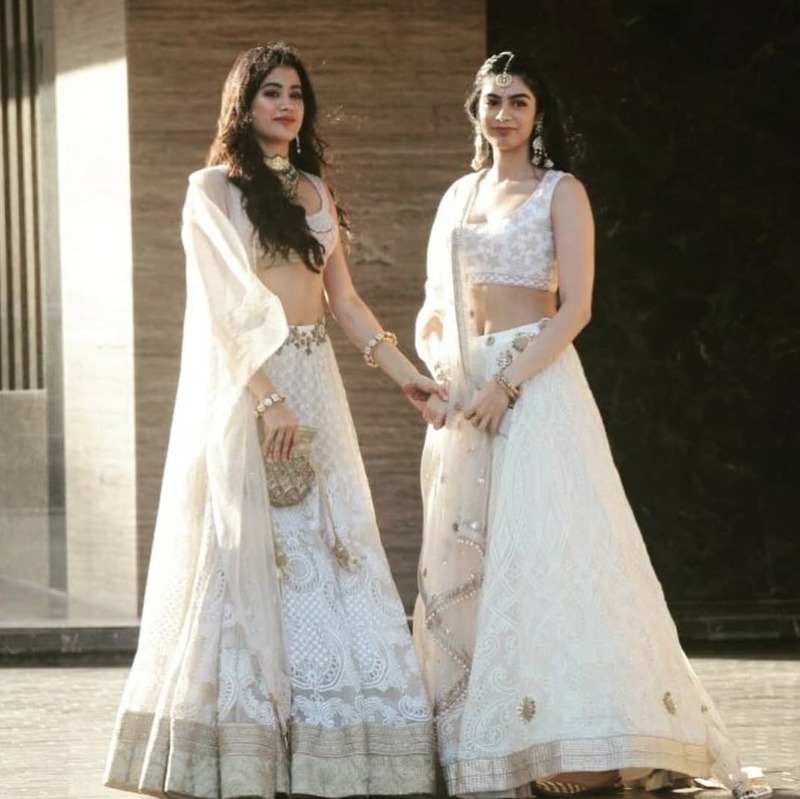 Loved the lehenga and the jewellery and the hair with gajra perfectly complemented it. Ms. Kapoor looked very beautiful and radiant!